Earlier this week, we shed light on an issue that was brought to our attention by a group of upset Galaxy S5 owners. After a few days of using their perfectly-performing phones, users were beginning to be met with a “Warning: Camera Failed” message. Once that message appeared, nothing they did could bring their camera back to life – even flashing new software. 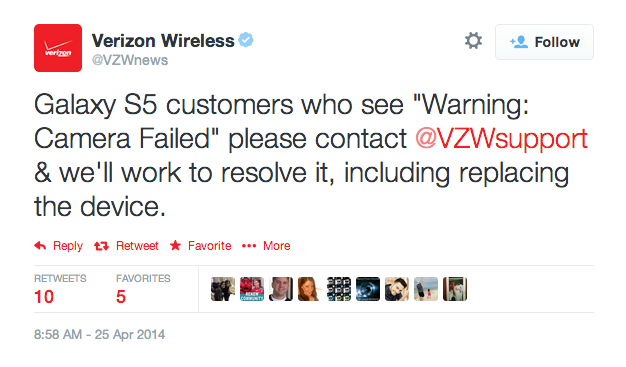 At the time, it appeared that only Verizon Galaxy S5 devices were experiencing the issue, but after our story was published, we saw Galaxy S5 owners from AT&T, as well as Vodafone complaining of the same issue. 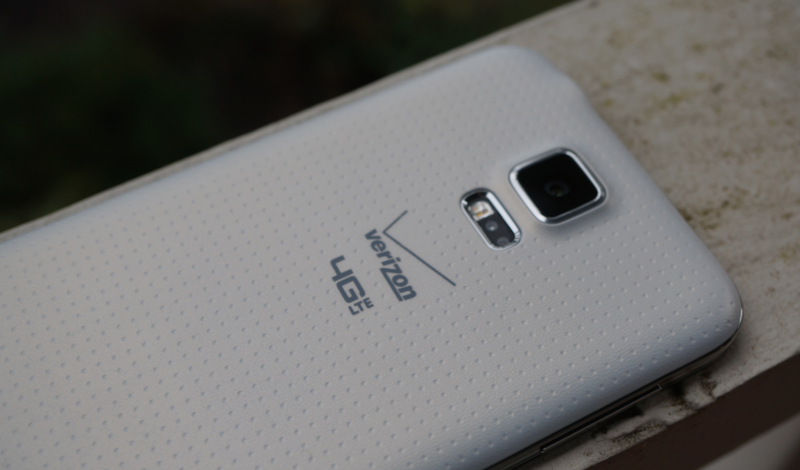 After a couple of days, Samsung and Verizon have reached out about the issue. Both companies clearly want to help their customers with the problem, and below we have posted their statements on the issue. Verizon tweeted out the following message below, letting owners of the Galaxy S5 know that if they are experiencing the issue, they will work to solve the problem, which includes replacing the device if need be. Samsung sent us a message personally, stating that any Galaxy S5 owners with the problem should call its service department or visit their carrier for service. For Galaxy S5 owners, this is clearly not a complete fix for the problem, but we can be thankful that both companies have acknowledged it, and are working towards a solution, regardless of whether it’s just giving you a new phone. There is still no word on how widespread the issue could be, but it does not appear to be too bad. If your Galaxy S5 camera starts bugging out, definitely contact Samsung or your carrier as soon as possible.